Albert Inkpin was born in London in 1884. He became interested in politics and in 1906 he joined the Social Democratic Federation. An office worker, he joined the National Union of Clerks and by 1907 he was appointed Joint Assistant Secretary of his union. 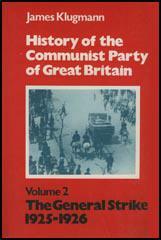 In 1911 Inkpin joined the British Socialist Party (BSP). Two years later he was elected as the General Secretary of the BSP in 1913. He also edited the party newspaper, The Call (1916-1919). Inkpin was a strong opponent of the First World War and he represented the BSP at the Zimmerwald Conference of peace forces in the international socialist movement and also took a leading role in agitation in support of the Russian Revolution. 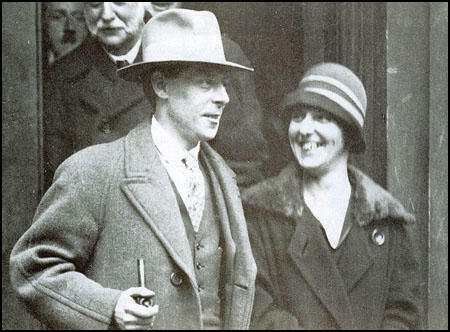 In April 1920 he joined forces with Tom Bell, Willie Gallacher, Arthur McManus, Arthur Horner, Harry Pollitt, Helen Crawfurd, A. J. Cook, Bob Stewart, Rajani Palme Dutt and Willie Paul to establish the Communist Party of Great Britain (CPGB). McManus was elected as the party's first chairman and Bell and Pollitt became the party's first full-time workers. Inkpin was elected as National Secretary of the CPGB. Later that year he was prosecuted by the British authorities along with Bob Stewart, the National Organiser, for having printed and circulated Communist Party literature and was sentenced to six months in prison. In 1921 Inkpin was made a President of the Communist International, along with Lenin and Leon Trotsky. Two years later he was appointed General Secretary of the CPGB. 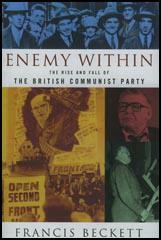 Inkpin, Rajani Palme Dutt and Harry Pollitt were charged with the task of implementing the organisational theses of the Comintern. As Jim Higgins has pointed out: "In the streamlined “bolshevised” party that came out of the re-organisation, all three signatories reaped the reward of their work. Inkpin was elected chairman of the Central Control Commission Dutt and Pollitt were elected to the party executive. Thus started the long and close association between Dutt and Pollitt. Palme Dutt, the cool intellectual with a facility for theoretical exposition, with friends in the Kremlin and Pollitt the talented mass agitator and organiser." 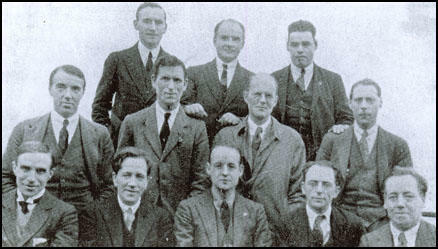 On 4th August 1925, Inkpin and 11 other activists, Jack Murphy, Wal Hannington, Ernie Cant, Tom Wintringham, Harry Pollitt, Tom Bell, Arthur McManus, William Rust, Robin Page Arnot, William Gallacher and John Ross Campbell were arrested for being members of the Communist Party of Great Britain and charged with violation of the Mutiny Act of 1797. John R. Campbell, Arthur McManus, William Rust, Robin Page Arnot, Tom Bell. John Campbell later wrote: "The Government was wise enough not to rest its case on the activity of the accused in organising resistance to wage cuts, but on their dissemination of “seditious” communist literature, (particularly the resolutions of the Communist International), their speeches, and occasional articles. Campbell, Gallacher and Pollitt defended themselves. Five of the prisoners who had previous convictions, Gallacher, Hannington, Inkpin, Pollitt and Rust, were sentenced to twelve months’ imprisonment and the others (after rejecting the Judge’s offer that they could go free if they renounced their political activity) were sentenced to six months." It was believed that this was a deliberate action of the government to weaken the labour movement in preparation for the impending General Strike. After the failure of the strike Bell went back to Moscow. In 1929 he returned to Britain and was appointed to the newly formed political bureau of the CPGB. In 1929, Harry Pollitt replaced Inkpin as General Secretary of the CPGB. Although in poor health, Inkpin served as secretary of the Friends of the Soviet Union. Albert Inkpin died in 1944. Lockers on, they say, see most of the game. To me, as a silent participant, the National Convention amply justified those who, in the long and sometimes critical course of the unity discussions, held fast to negotiations in the belief that a way over the obstacles to unity would eventually present itself. Not the least striking feature of a remarkable gathering was the splendid manner in which the minority on the thorny subject of Labour Parity affiliation accepted the vote and showed their determination not to allow this minor question of tactics to be transformed into a fundamental question of principle. The Executive Committee, in considering the decision of the Convention, cannot fail to interpret the generous and tolerant spirit the majority undoubtedly feel towards the minority. The Communist Party is now a fact. Let us devote our energies and enthusiasm towards proving the Party, in numbers, vigour, and determination, worthy of the great and inspiring cause for which if stands. All power to the Communist Party of Great Britain.